This past October, WBUR Boston published a great story about The Original Pinettes in anticipation of the band’s Honk! performance. 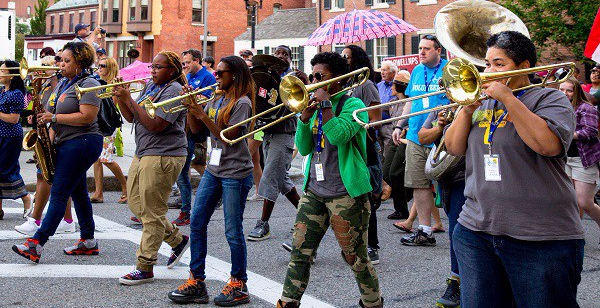 All-female brass bands are a growing phenomenon, bringing the awesomeness of women playing brass to festivals, parades, and the streets. This blog has historically focused on classical and jazz performers, but I want to take this opportunity to branch out and highlight these incredible musicians!